Hilarious interactive comedy street show with 5 ft uni-cycling, juggling, fire, machetes, straight jacket escapes, and of course lots of audience interaction! The Katastrophe and the Mighty Quinn amuse and amaze with this 45 min street show. 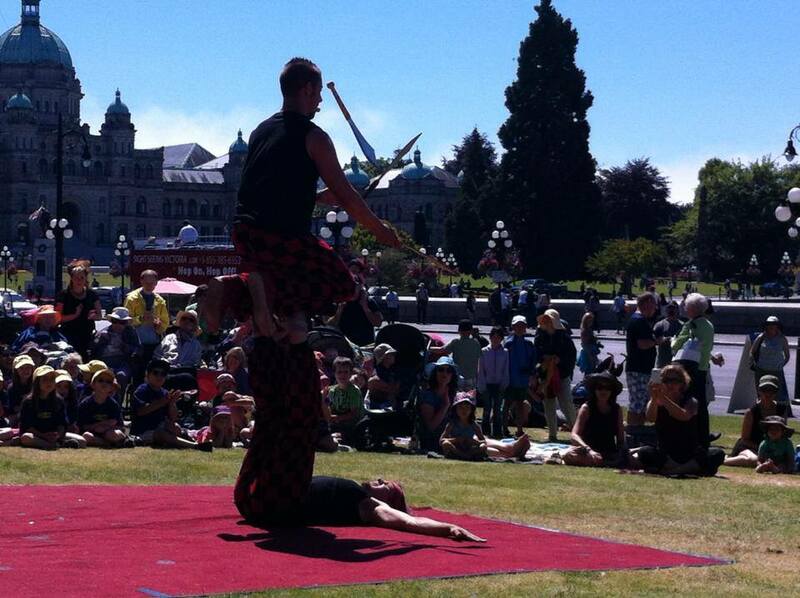 Vesta Entertainment’s street show was a featured circle show in the International Victoria Busking Festival in 2012, and is performed all over the lower mainland, and internationally in Malaysia and Thailand. The perfect comedy show for festivals, private parties and corporate stage shows, it gets the audience participating, interacting, and laughing with jokes, innuendo and death defying stunts. Cost: 500- 1000$ depending on venue, size of festival and if supplemental busking is appropriate.